Exploring the central themes in modern American cultural studies and discussing how these themes can be interpreted, American Cultural Studies offers a wide-ranging overview of different aspects of American cultural life such as religion, gender and sexuality, regionalism, and ethnicity and immigration. updated further reading lists and new follow-up work. 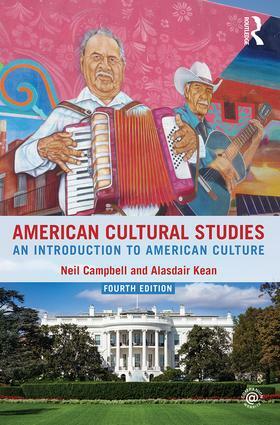 Illustrated throughout, containing follow-up questions and further reading at the end of each chapter, and accompanied by a companion website (www.routledge.com/cw/campbell) providing further study resources, American Cultural Studies is a core text and an accessible guide to the interdisciplinary study of American culture.